Sanjo-kai Shotengai shopping arcade is less than a kilometer long but is full of old, family-run establishments, specialist shops and local life. Florentyna Leow highlights some of its attractions in a virtual tour. “Shotengai” means covered shopping arcades. Kyoto’s shotengai are fantastic if you want to catch a glimpse of local life as most began as clusters of shops serving local communities. Kyoto has a number of shopping arcades which have adapted to cater to tourist crowds. A few examples are Nishiki Market, Teramachi Street and Shinkyogoku Street which consistently pull in travelers looking to shop. 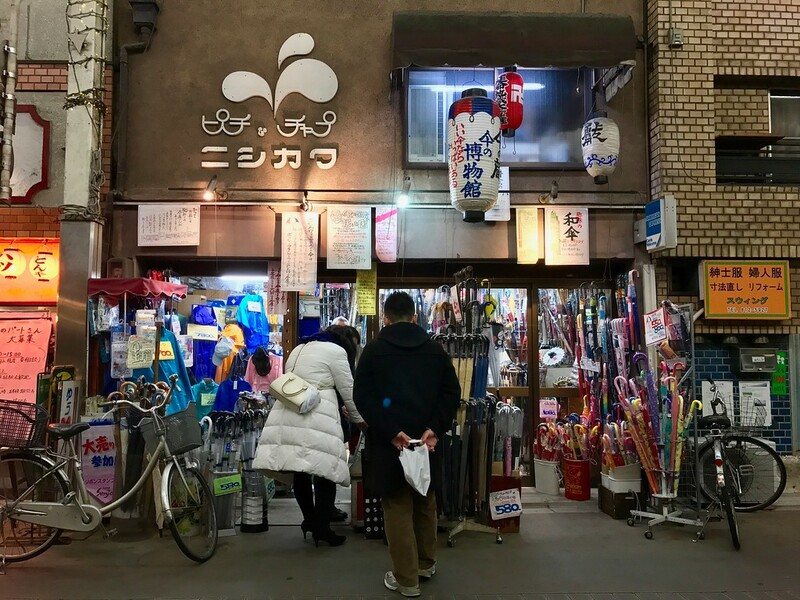 One of my favourite shotengai, however, is Sanjo-kai Shotengai – not to be confused with the more famous Sanjo Meitengai Shotengai further east, which intersects with Teramachi and Shinkyogoku shopping streets. 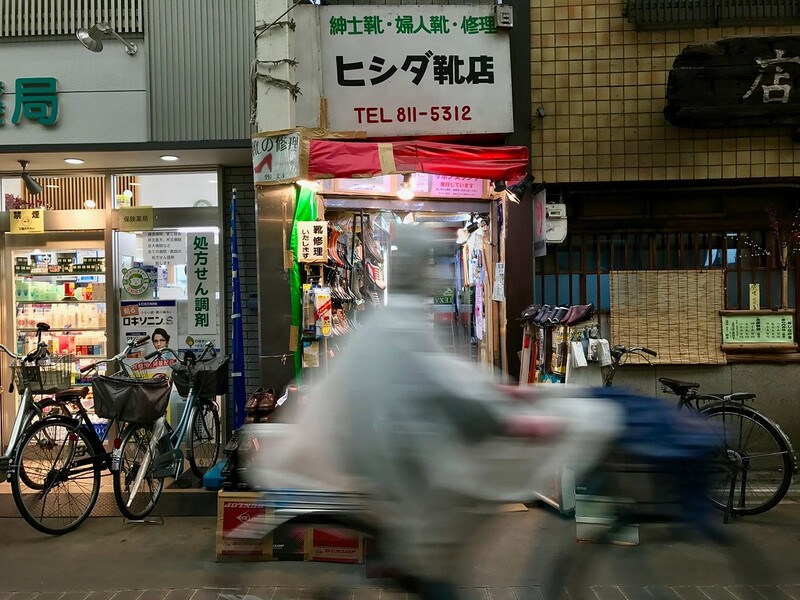 Sanjo-kai Shotengai has been around since the late 1860s, having begun life as a cluster of enterprising merchants setting up their shops along the street. This was also the area where Japan’s first film was reputedly shot. Now, it prides itself on being the longest “completely covered and unbroken shopping arcade” in Japan – at least, according to Banba-san, the 4th-generation shopowner of Banba Shoten. For Banba-san, who is one of the committee members of the Sanjo-kai Shopping Arcade Association, the distinction is subtle but important. 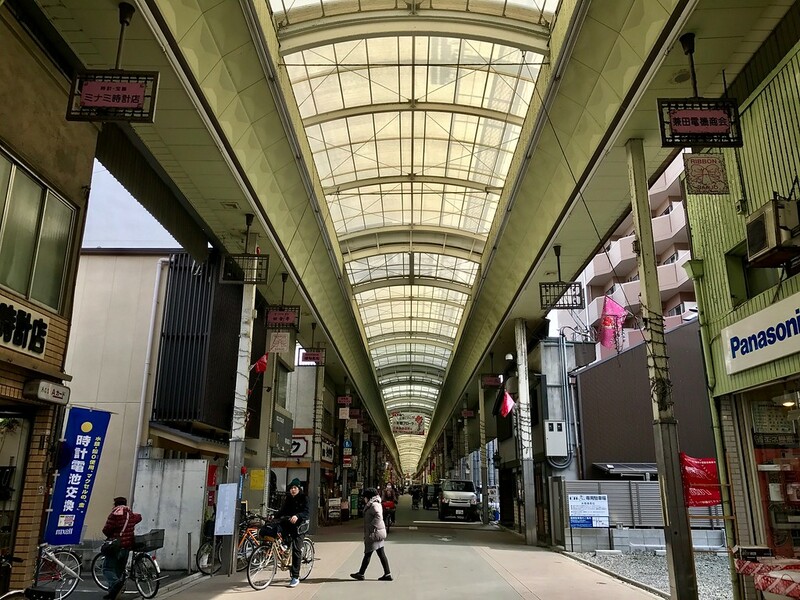 Where shopping arcades such as Tenjinbashisuji in Osaka win in terms of sheer length (2.6km), Sanjo Shotengai by comparison comes trailing at a paltry 800m or so. 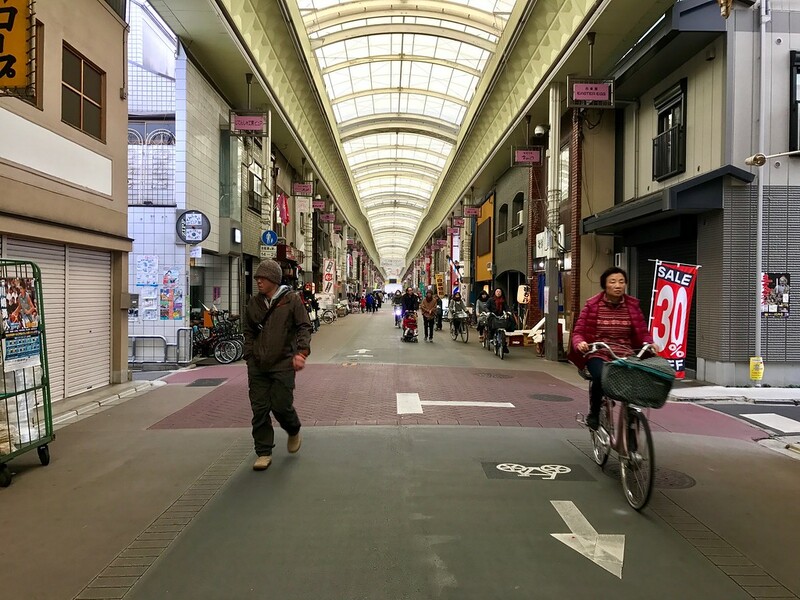 But most longer shopping arcades are broken up by major roads and thoroughfares between, which Banba-san says disrupts the sense of continuity. It must be said that walking through Sanjo is a far different experience from the Osaka shopping arcades. More crucially, not all the shops in many other shopping arcades across Japan actually belong to the shopping arcade association. 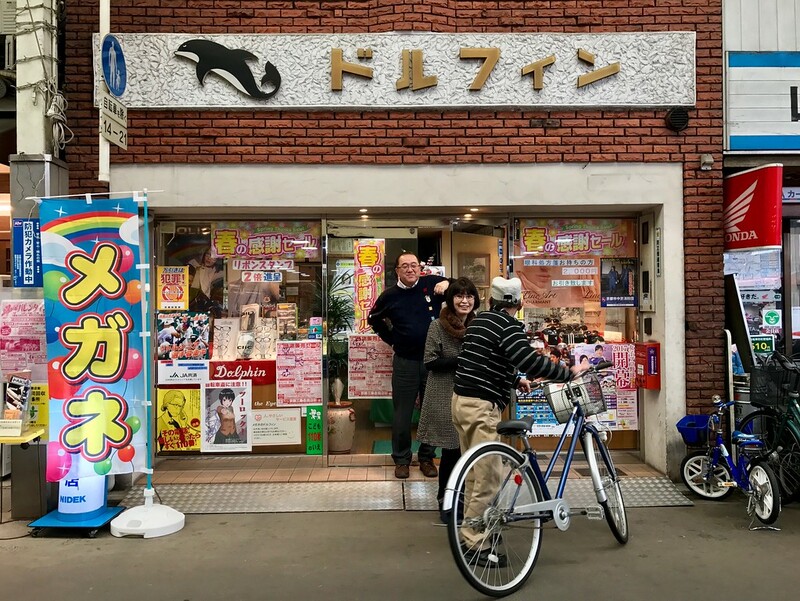 In Sanjo Shotengai, by contrast, all the shops there belong to the association – which, according to Banba-san, helps foster a sense of community and keeps the spirit of this place alive. 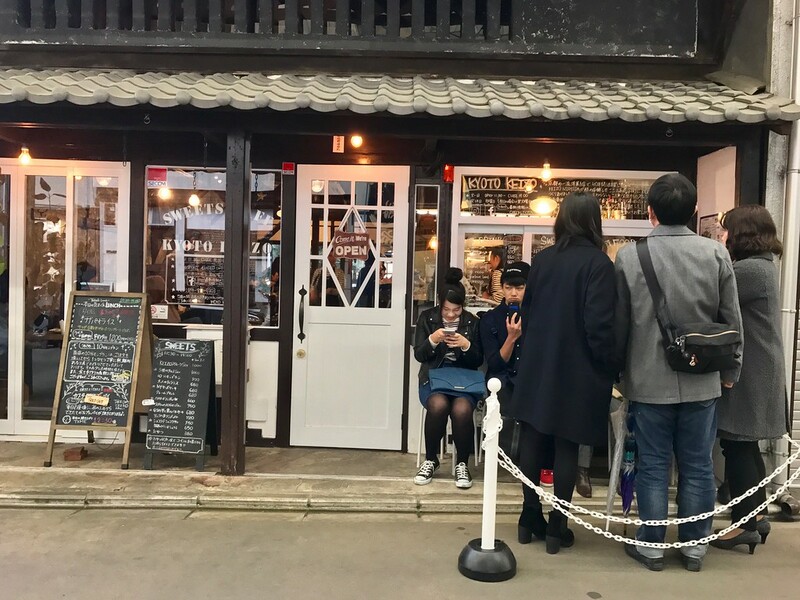 At a time when shopping arcades are slowly falling out of favour with most Japanese shoppers, Sanjo-kai Shotengai hopes to counter this trend by organizing regular community events and festivals to draw visitors. 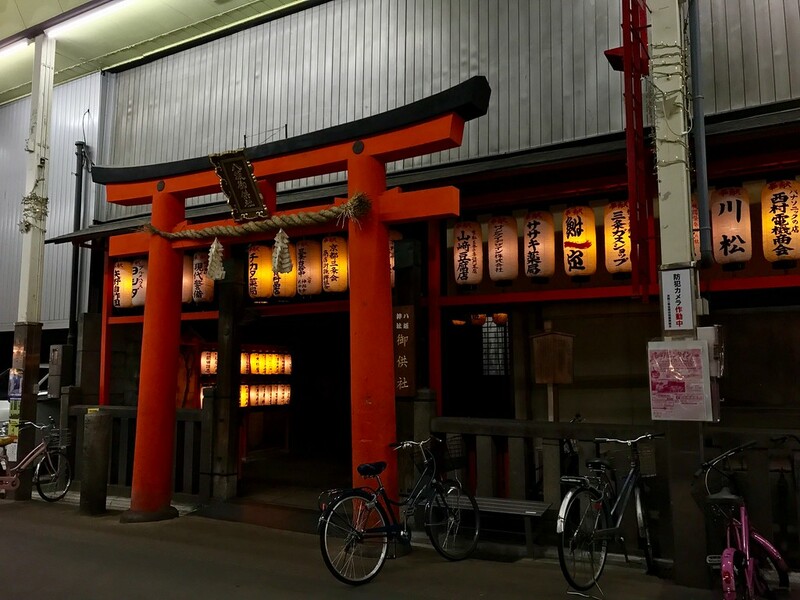 In May, for example, there will be a Craft Beer Festival; the third week of July sees local festivals and rituals centering around Matatabi-sha Shrine which is right inside the shopping arcade. Sanjo-kai Shotengai runs between Horikawa-dori Street and Senbon-dori Street, with the east and west gates located at the intersections of Sanjo and these two streets respectively. The west gate is a short five-minute walk from JR Nijo Station, and the east gate a slightly longer 10-minute walk from Nijo Castle. You don’t necessarily have to start at either end, and you can enter via any of the the north-south streets between Horikawa and Senbon. However, starting at either the east or west sides and slowly exploring all 800 meters of the arcade is a great way to spend an afternoon, and get a feel for the arcade as a whole. In a normal week, the best day to visit is Friday or Saturday, when the arcade is at its liveliest and most of the shops are open. Strangely enough, most shops are shut on Sundays and Mondays, so if you visit on either of these days you might be disappointed. However, most cafes in the arcade are open on Sundays and they’re lovely places to hang out in. The arcade itself is quite wide, and so there’s plenty of space for pedestrians. 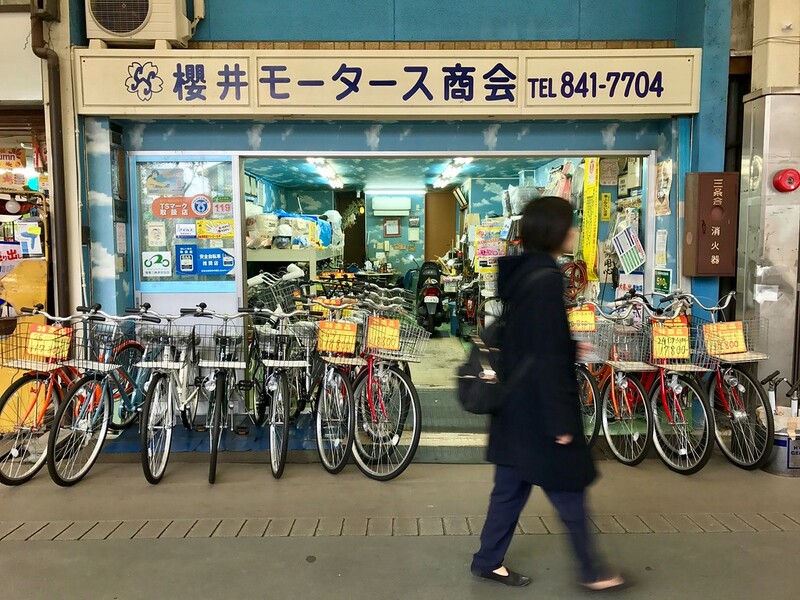 But a word to the wise: this is one of those rare shopping arcades where cyclists are allowed, and though in Kyoto cyclists are quite considerate a little caution goes a long way. Vehicles are also allowed in before 2pm, so the pedestrian here does need to be more alert than usual – walking while looking at your smartphone is definitely not recommended. Shops along the arcade need to deliver goods or have goods delivered to them, and it’s helpful for cyclists to have a covered section to cycle through, and so for now both are allowed in the arcade. One wonders if that will change if foot traffic increases, though. There are between 180 to 196 shops in the arcade, depending on who you ask and who has the most up-to-date information. Shops open and close here all the time. Some shutter within a few months or a few years, while some remain there for decades, and even over a century. There are all kinds of family-run shops and services serving the local community, the most common being food provision shops. Tofu, vegetable, tea, pickles, rice crackers, rice, unagi (three, in fact), fish – Sanjo covers all your bases. 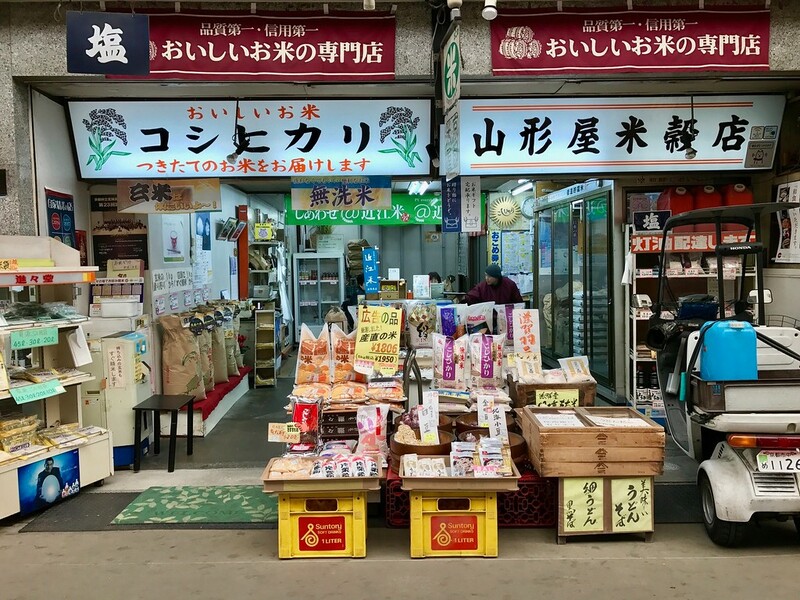 The rice shop in the photo above, located near the east entrance, has been going strong since the years of the Russo-Japanese war, which really speaks to the strong sense of generational continuity in parts of this shopping arcade. 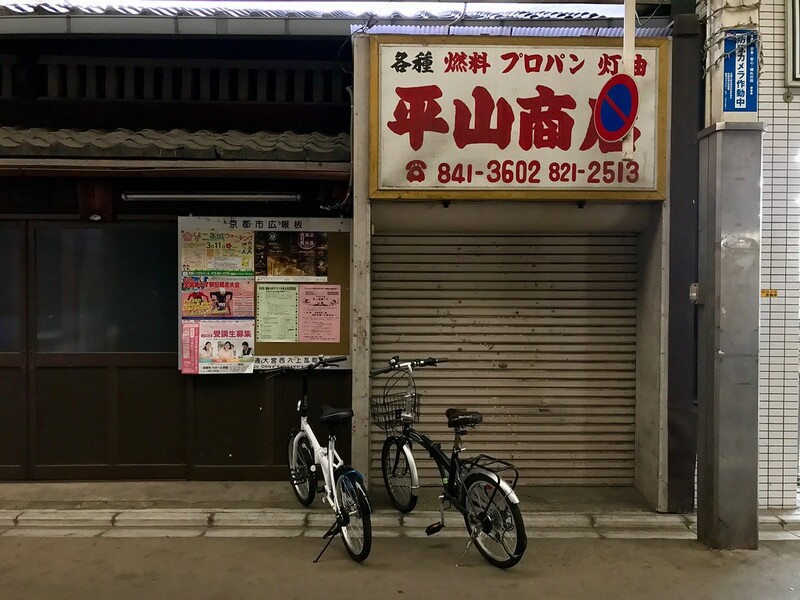 Sanjo is home to a good number of shinise – the word ‘shinise’ refers to businesses which have been running for more than a century. 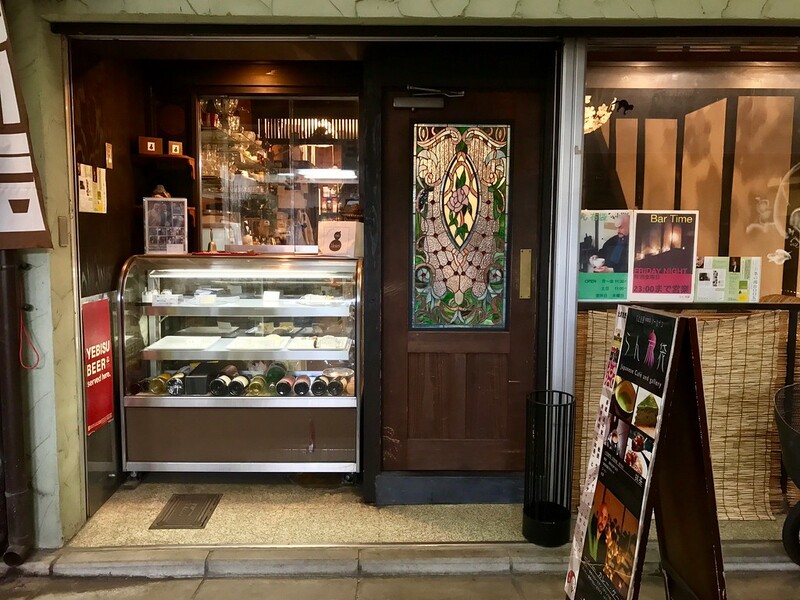 One of the most famous in the arcade is Hosoji Kobundo, the personal seal shop close to the east entrance of the shopping arcade, which has reputedly been around for 420 years or so. The 4th-generation master’s claim to fame is having designed the red seal which appears on the JPY10,000 note. Very cool. Of course, it’s not all old stores. Shops both old and new coexist quite nicely in the shopping arcade. 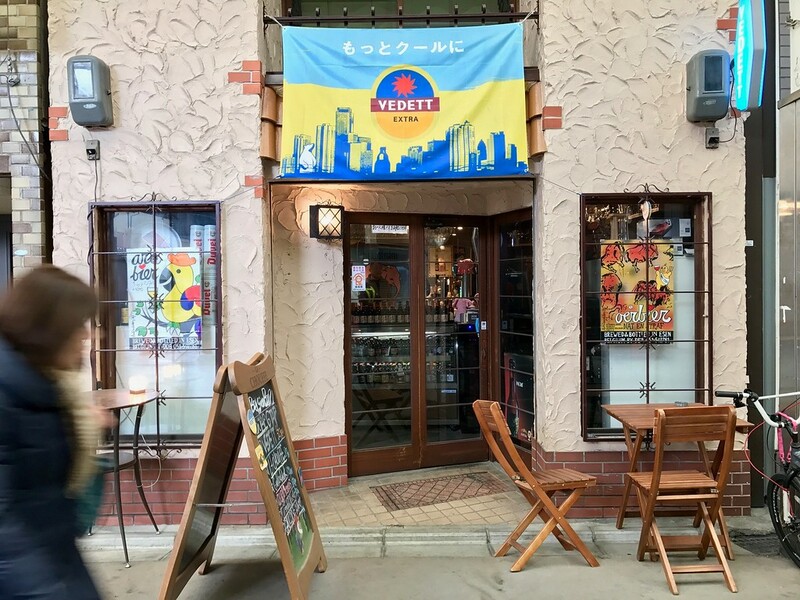 There are mom and pop food provision shops, but also two supermarkets (Seiyu and Fresco); retro kissaten (coffee shops) and newer, more stylish cafes; recycle shops and tastefully-curated zakka shops. Zakka shops stock miscellaneous lifestyle and design goods, and they’re places you’ll find yourself spending money you don’t have on things you never knew you wanted or needed. 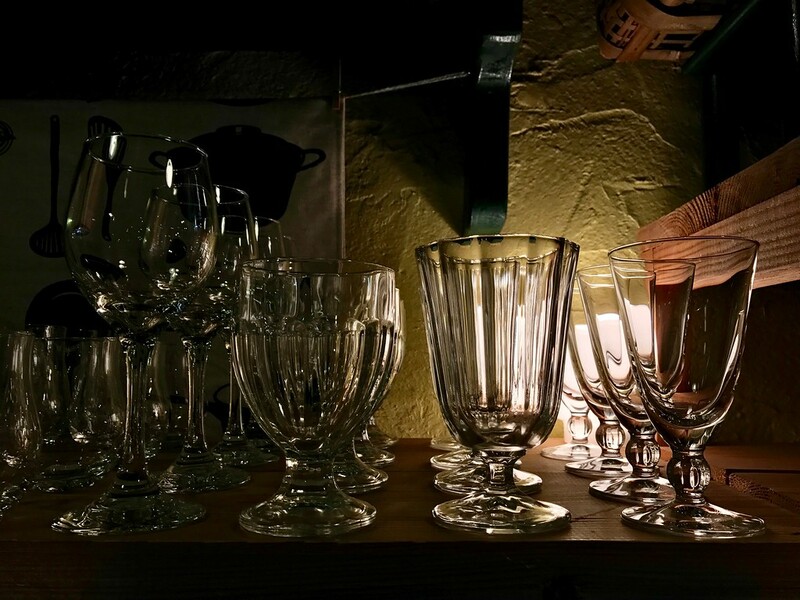 Ghandi Mart had me lusting after these beautiful, old-fashioned sundae glasses. I also liked Gallery Miki, which is another zakka shop. 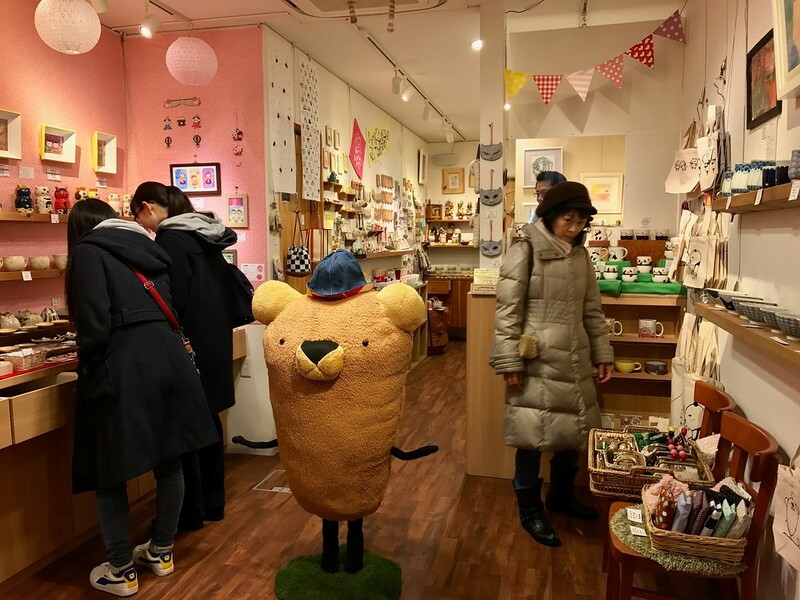 This one sells stationery, cartoon-print bags, bowls, and accessories. 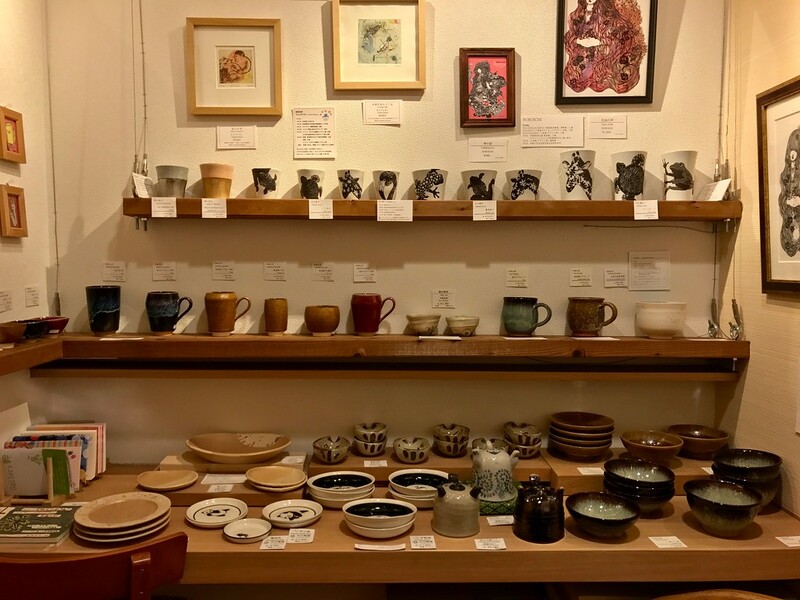 Once you make your way past all the slightly kitschy panda and cat-themed goods dominating most of the store, at the back is a lovely selection of ceramics, any of which would make an elegant souvenir or stylish addition to your kitchen. One of the most unusual shops in this arcade is Pichi & Chap Nishikawa specializing entirely in umbrellas. 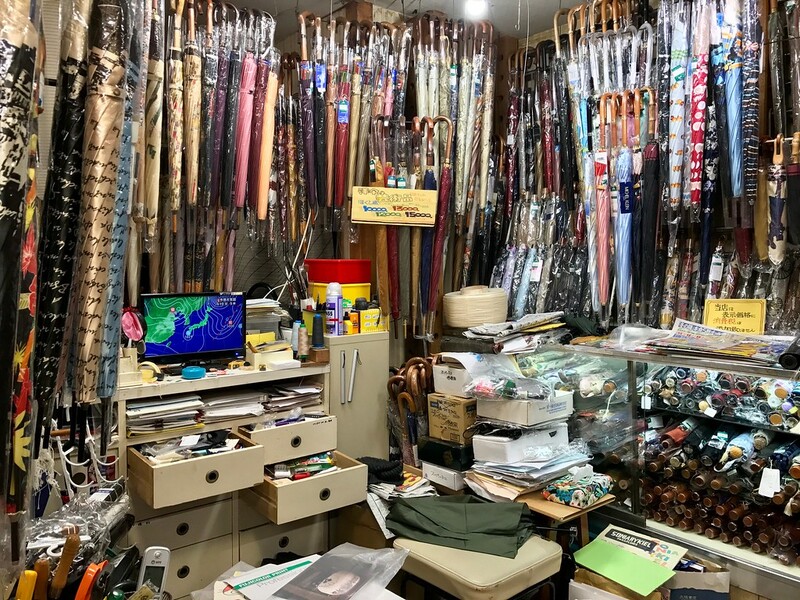 Located near the west entrance at Senbon-dori, it’s impossible to miss as the exterior of the shop is festooned in umbrellas. Unsurprisingly, it is often featured in local variety television shows and travel magazines. There are more varieties of umbrellas crammed into this space than I would have thought possible. There are umbrellas that open at the push of a button, beautiful silk-printed ones with cats on them, those with polished wooden handles carved to fit your palm, a wild range of prints and patterns and textures. From the 3rd-generation owner Nishikawa-san I also learn that there is an umbrella association in Japan called JUPA. If you see their logo on your umbrella label, you can be assured that you are the owner of a most excellent rain-cover. He also fixes broken umbrellas, which is a much less wasteful option than just throwing them away. He’s a true craftsman, and this is the place to visit to if you need an umbrella. It’s not all shops and buildings lining the arcade. 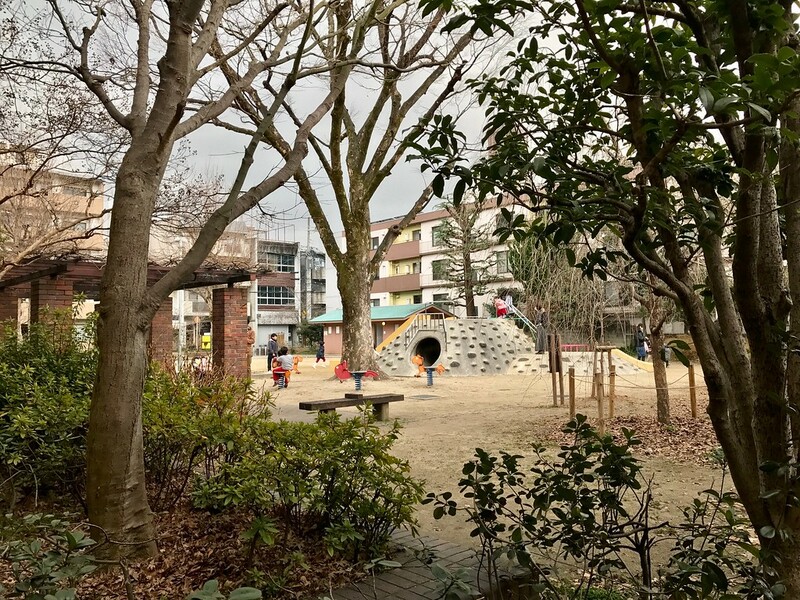 There is a small park where Sanjo-dori Street meets Omiya-dori Street, and you’ll often see kids playing here while their parents watch on. It’s a little unusual to see a shrine like this where you enter from the shopping arcade. This is Matatabi-sha, also known as Goku-sha, and it is affiliated with Yasaka-jinja Shrine in Gion. In the evenings the lanterns are lit up, making it look rather atmospheric. The arcade is home to numerous cafes and bakeries – too many to list – so all you need to do is let your mood and appetite dictate your choice. A café I like is Ran Hotei, run and owned by Canadian tea master Randy Channell. It’s a low-key, relaxing space serving a tasty slice of matcha cheesecake. Randy also offers tea ceremony events and experiences which are fun and informative for the visitor to Japan as they’re conducted in an informal setting. Prices vary depending on your needs and group size, so drop him a line and he’ll let you know what’s possible. He has a wealth of knowledge about the subject and has many funny stories – his tea ceremony experience is fun and immersive. This is Kyoto Keizo, a café which has recently become very popular with Japanese tourists. Their claim to fame is their Mont Blanc, which is the star dessert often featured on television shows and which reportedly has a shelf life of only 10 minutes after being assembled and served. There are often long queues in front of the café during the day. 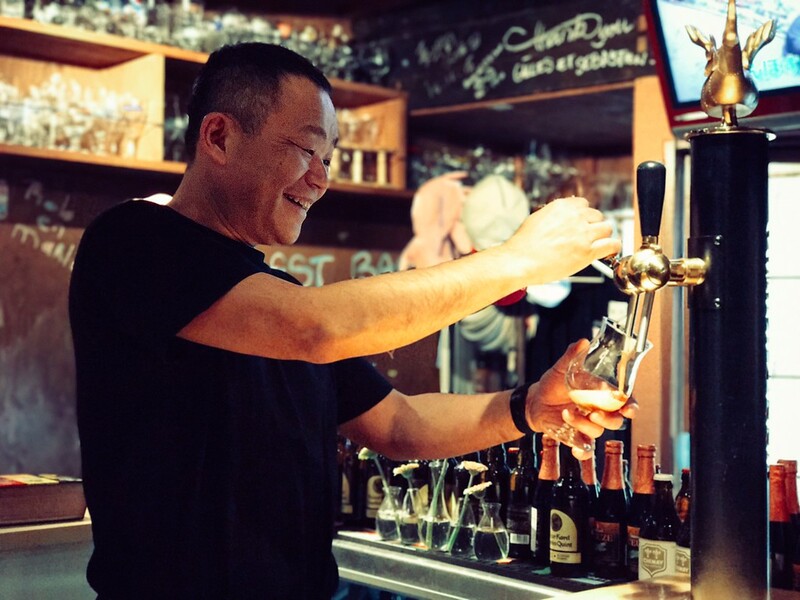 One of my favourite places in the arcade is Madobe, a small, unassuming-looking Belgian craft beer bar run by the friendly Seto-san. He has 8 different kinds of draft beer on tap, 4 of which are fixed and 4 of which he switches up regularly. 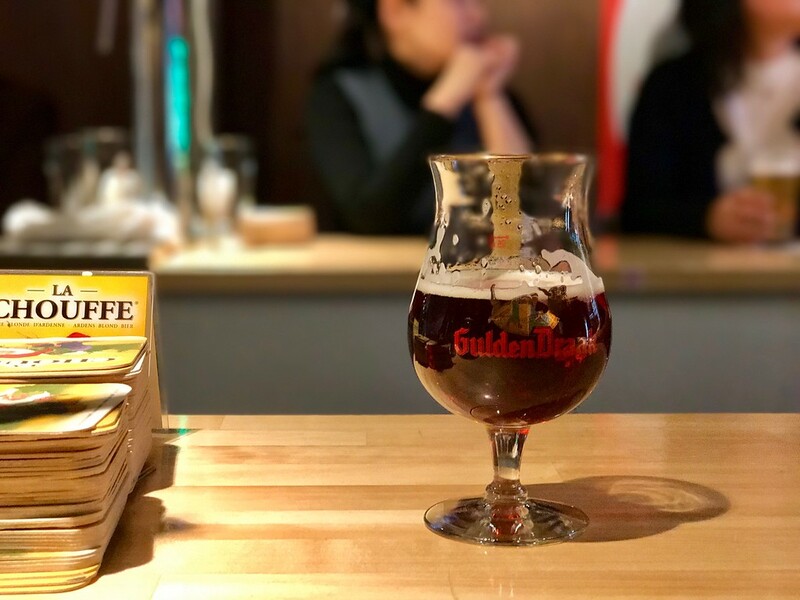 When I visited he poured me a glass of Gulden Draak, a dark red 8% alcohol brew that packs an umami-ful punch. There are also 150 varieties of bottled beer, each with their own matching glasses stacked on shelves all around the shop. Madobe is a great space to unwind over a beer. I highly recommend visiting mid-afternoon when it’s relatively quiet. Do note that there’s a lack of food apart from beer snacks like smoked bacon or nuts – this isn’t a place you can have more substantial food at, so you might want to eat something beforehand. Thankfully, there’s no shortage of food options in the shopping street – even on Sunday and Monday, when the shutters are mostly down, there are still places to fill your stomach. 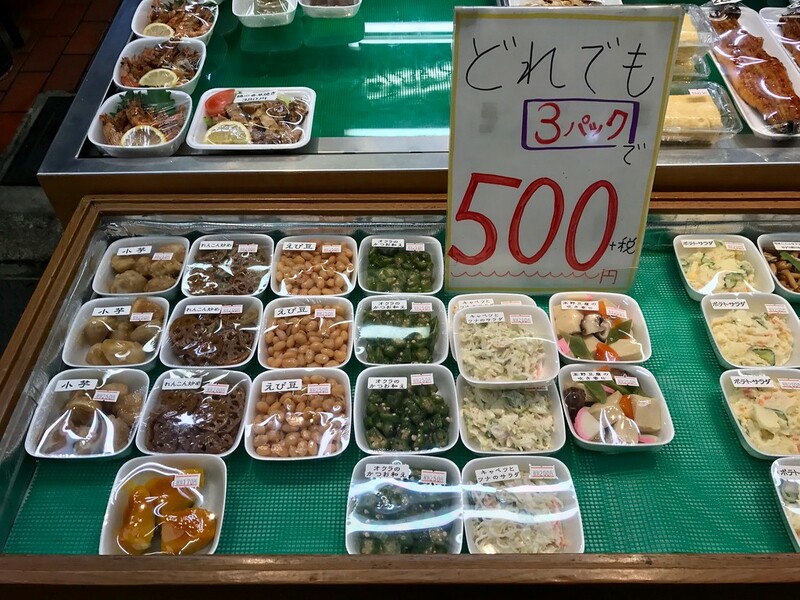 Again, all you need to do is let your appetite lead you to the restaurant of your choice, but a shout-out must go to this shop which touts itself as the cheapest bento shop in Kyoto. I believe it – JPY250 for a bento is hard to beat. Budget travelers, this one’s for you. It’s near the west entrance to the arcade. Speaking of cheap: there is a vending machine in the arcade next to Kyoto Keizo with 100-yen drinks. 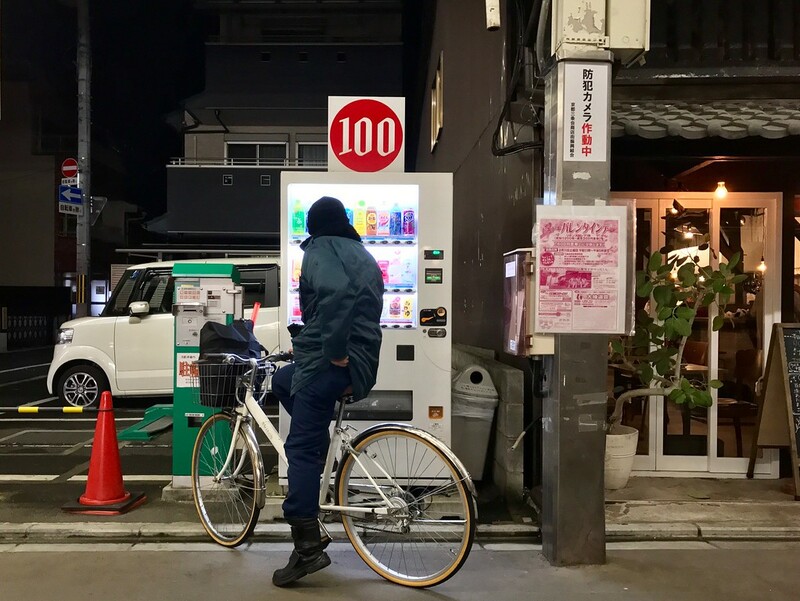 It’s nice to see that there are vending machines where a bottle of tea doesn’t cost JPY150 – a godsend during the hot summer months when all you need is an inexpensive cold drink. 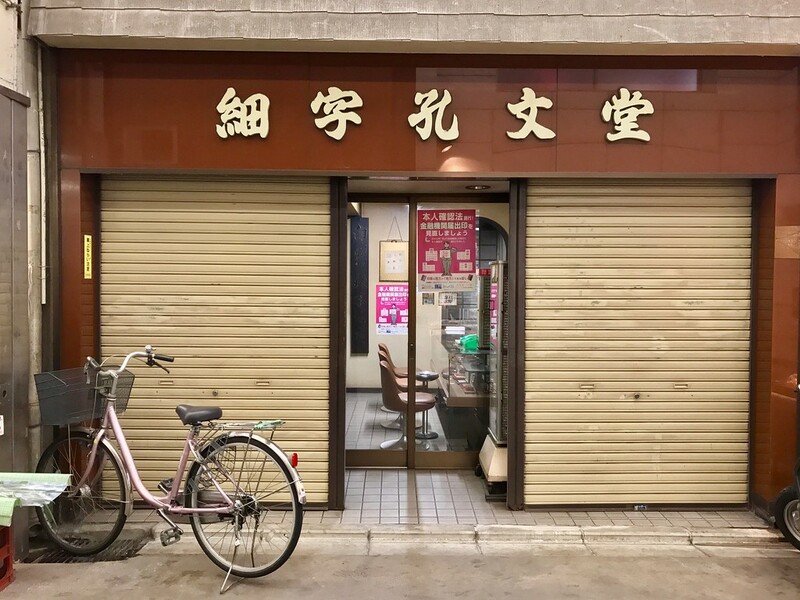 A fun alternative to eating out at a restaurant in town while travelling is to pick up a few small okazu side dishes at any of the food provision shops in the arcade, such as Banba Shoten. You can usually find small portions of simmered vegetables and beans, deep-fried shrimp and fish and chicken, stewed meats, and more. Travelers staying at guesthouses nearby often cobble a meal together from a selection of side dishes and enjoy a quiet evening eating indoors. 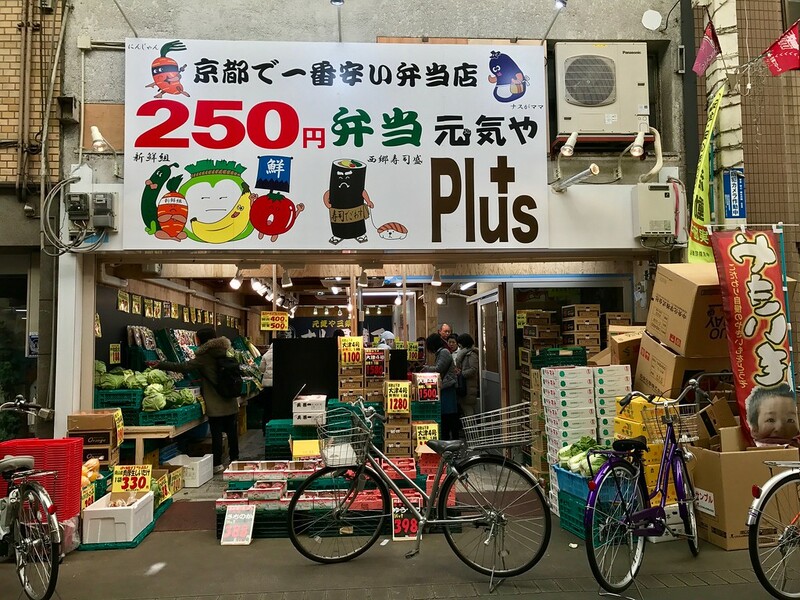 Even better is how some of the shops will discount their wares at the end of the day to move them a little faster, so around 4~6pm is a good time to scout out the provision shops in Sanjo for some discounted food. Sure, 800 meters isn’t very far to walk, but there is a great deal of history and charming local life packed into this shopping arcade. It’s a fantastic alternative to the crowded, touristy Nishiki Market, and there’s so much to discover here. 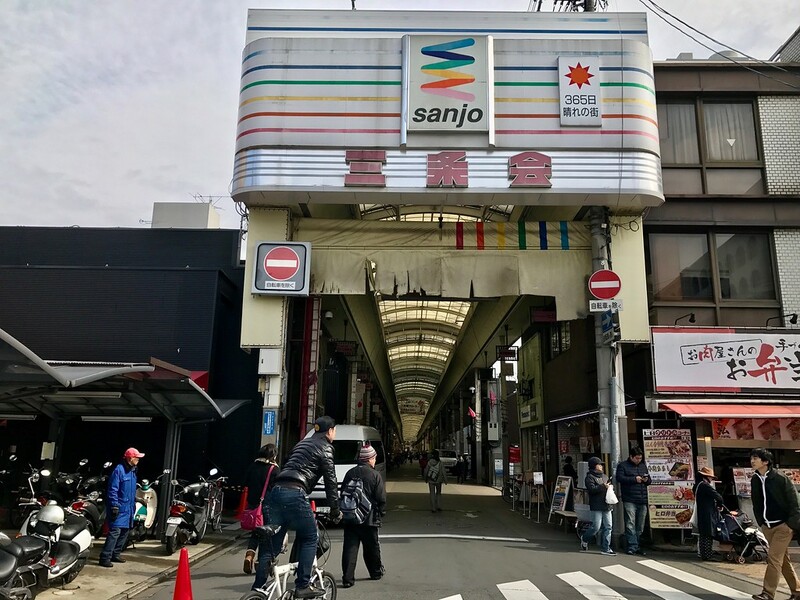 It’s worth spending an afternoon here exploring the hidden charms of Sanjo-kai Shotengai – you’ll be helping the local community with some much needed tourist dollars, and you’ll help keep this arcade going for a little longer.